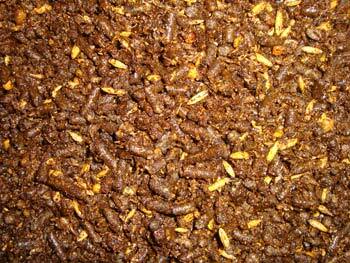 A moderate soluble carbohydrate, high fat, high fiber, beet pulp-based feed. Ideal for weanlings, yearlings, broodmares and breeding stallions. Triple Crown Growth is fortified to provide essential amino acids, vitamins, minerals, probiotics, enzymes and proteins essential to equine growth. 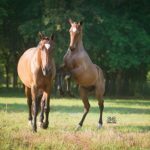 Utilizing the latest research regarding nutritional support for growing horses, Triple Crown Growth provides more calories through quality fiber and fat, reducing the need for elevated levels of carbohydrates, which helps your horse experience a more consistent growth pattern and healthier joints throughout its life. Whole Oats, Cane Molasses, Dehulled Soybean Meal, Wheat Middlings, Dehydrated Alfalfa Meal, Soybean Hulls, Soybean Oil, Shredded Beet Pulp, Distillers Dried Grains, Heat Processed Soybeans, Ground Limestone, Monocalcium Phosphate, Dicalcium Phosphate, Salt, Magnesium Oxide, Yeast Culture, Hydrolyzed Yeast, Hydrated Sodium Calcium Aluminosilicate, Dried Lactobacillus Acidophilus Fermentation Product, Dried Enterococcus Faecium Fermentation Product, Anise Seed, Fenugreek Seed, Dried Trichoderma Longibrachiatum Fermentation Extract, Dried Bacillus Subtilis Fermentation Extract, Zinc Amino Acid Complex, Manganese Amino Acid Complex, Kelp Meal, Copper Amino Acid Complex, Lecithin, Iron Amino Acid Complex, Magnesium Proteinate, Selenium Yeast, Stabilized Rice Bran, Calcium Carbonate, Vitamin E Supplement, Flaxseed, Ascorbic Acid (source of Vitamin C), Niacin Supplement, Biotin, Vitamin A Supplement, Thiamine Mononitrate, Beta Carotene, Calcium Pantothenate, Riboflavin Supplement, Pyridoxine Hydrochloride, Vitamin B12 Supplement, Vitamin D3 Supplement, Choline Chloride, Menadione Sodium Bisulfite Complex (source of Vitamin K activity), Folic Acid, Sodium Bicarbonate, Sodium Sesquicarbonate, Ferrous Sulfate, Zinc Sulfate, Manganese Sulfate, Copper Sulfate, Cobalt Sulfate, Ethylenediamine Dihydroiodide, Brewers Dried Yeast, L-Lysine, Monosodium Phosphate, Lignin Sulfonate, DL-methionine, DL-methionine Hydroxy Analog, (Propionic Acid, Sodium Benzoate, Potassium Sorbate (Preservatives)). Free from Restricted Ruminant Protein Products per Title 21, CFR 589.2000/2001. Triple Crown Growth should be fed to growing horses along with free access to good quality pasture and/or hay, fresh clean water and plenty of free exercise. For nursing foals, feed 1% of body weight up to 400 lbs. For weanlings and older, the amount of Triple Crown Growth fed daily should be adjusted to maintain a moderate body condition level. 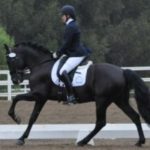 If not sure how much to feed, begin with 6 – 8 pounds per day divided into as many feedings as feasible and then adjust up or down depending upon the needs of the individual horse. If feeding less than 5 pounds of Triple Crown Growth on a regular basis due to easy maintenance of desired body condition then 1/2 to 1 pound per day of Triple Crown 30 Supplement should also be fed in combination with Triple Crown Growth as means to insure adequate mineral and vitamin intakes to support sound growth. For Ponies, feed half of the recommendations listed above for horses. We have been using TC Growth for our Missouri Fox Trotter broodmares and foals for the past 5 years. It has been an amazing product for us. TC Growth is a great feed with everything the mares and foals need already in it so we don't have to supplement. For us, it makes a huge difference. I can't say enough good things about this feed and what it has done for our horses. Just terrific choice all around! We all couldn’t be happier and I just want to say thank you to TCN! I have been using Triple Crown Feed products for the last 4 years. I am beyond happy with the results and my horses always look the best in the training barn. I own and show PRE horses, also know in this country as Andalusians. Currently I have a Stallion, two mares and a 3 month old stud colt. My Stallion is on Triple Crown Training, and the mares and foal are currently on Triple Crown Growth. We all couldn’t be happier and I just want to say thank you! Can't wait to try even more TCN feeds! My name is Laura Rocchino. I have a four year old Mare, Tess. 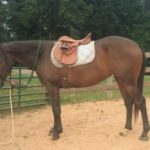 I’ve uploaded her before and after pictures (pictures with saddles on would be “after” pictures). I took Tess in one year ago this month. She was thin, small, no energy and did not have good nourishment and was full of worms when I got her. The vet came out, farrier and of course, Cindy Grove Bryant with Ephrata Feed and Supply came out to tell me her body score was about a 2. Ephrata Feed sells Triple Crown products which is why I chose to buy feed from them, I knew I wanted a Triple Crown Product. Cindy recommended Triple Crown Growth which she has been on for exactly one year and she guided me on how to feed her for the full benefit. When I picked Tess up she was approx 14’3 (barely) and weighed 700+ lbs. She is now almost 15’1 and 900+ lbs. She is bright, energetic, full of life, although very calm and sweet. She has big bright eyes now, her coat is amazing, I get compliments on her very often. She is just beautiful and I can feel her appreciation! Thank you for the amazing transformation in this very sweet well deserving girl!!! Not to mention, she LOVES her grain! I’m looking forward to transitioning over to Triple Crown Complete next. I have a full service facility here in NH and I have everything from weanlings to older horses topping 33+ years, I have several clients horses that have cushings and have come to me very malnourished. I have been feeding TC Senior and TC Growth and they have all flourished on it! I even have some of my show horses that are no more than 9 yrs old eating TC Senior and I have had numerous comments on these horses when they come out of the show pen as reserve and world champions. Most of my horses have come to us as abused and starved horses and all have gone on to be very competitive.